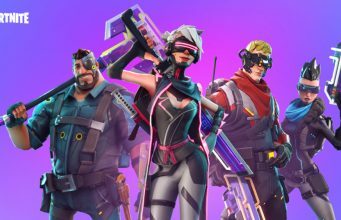 Fortnite fans are consistently uploading suggestions for Epic including skin sets, emoticons, emotes, and more on Reddit. Two Redditors had the same idea on a new limited time mode for Fortnite Battle Royale which are focused on planes. WookieOnReddit submitted his concept which would be titled “Planes Only”. For their submission, Wookie suggested that all players spawn in planes and can not leave. 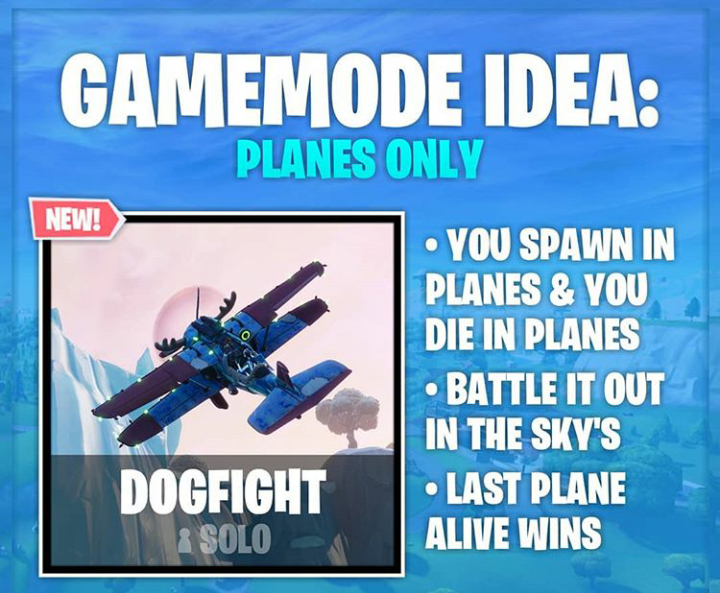 All players will have to fight in the skies, and the last plane alive claims the Victory Royale! The other submission for an X4-Stormwing-focused mode came from FLcitizen. 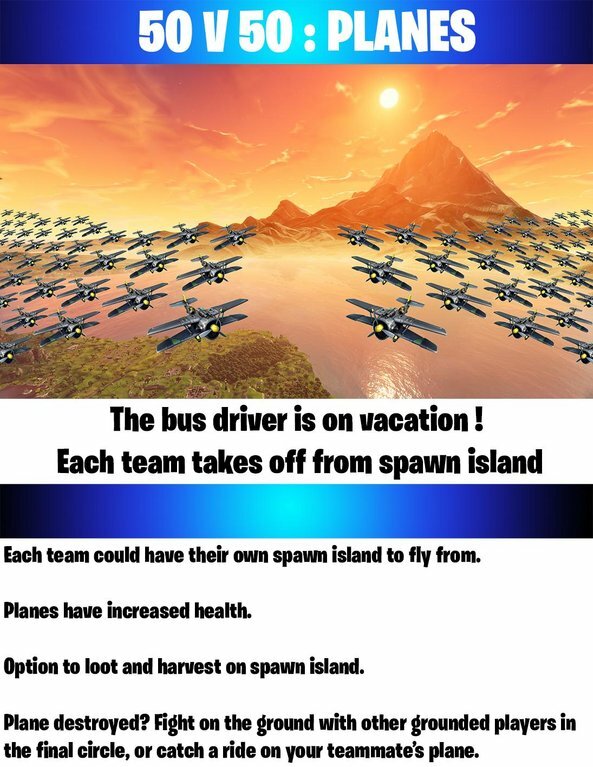 FLcitizen’s submission would be a 50v50 LTM mode where each team takes off from their own island. Players taking off from their own island would have the option to loot and harvest on their spawn island, so they can begin to fight as soon as the match begins! 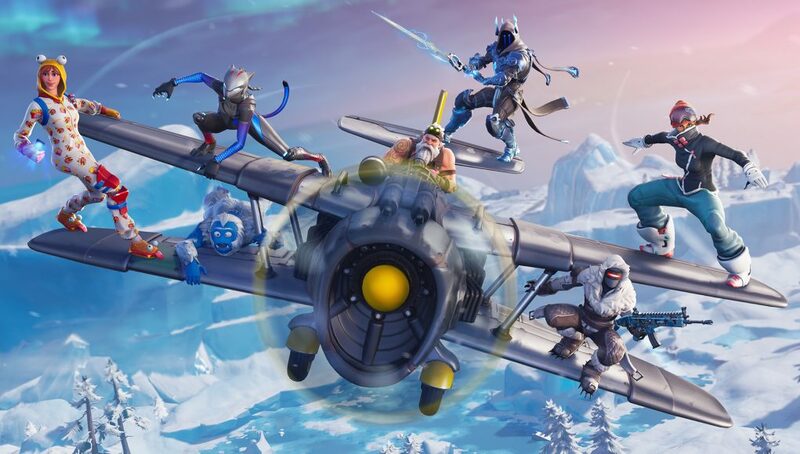 The 50v50 mode would not permanently leave players in their plane, as they can disembark and fight from the ground or from a teammate’s plane. Would you hop into any of these LTMs if Epic added them into Fortnite?